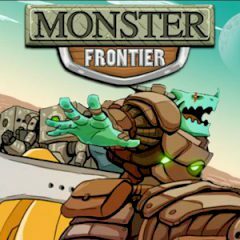 This game gives you a great chance to move to the strange and very dangerous world, where your main goal is to fight against real monsters. But you have to create your monster and make him very strong and powerful. So, everything depends on you. So, be ready that this game takes you on a journey to become a mighty intergalactic monster trainer of Tyrex, a mighty and wild space creature. All humans are in jeopardy and now they decided to make a real monster, in order to fight with enemies. Just train your Tyrex and get it ready for battle in the arena. Do not forget to upgrade equipments to make your monster the strongest. Do you think that it is so easy? Well, then just try it and you will see it! Are you ready for that? So make your monster the most powerful creature in the whole world!